The EF500 keeps you ready for every calls of duty with large 5” HD Eyelluminate™ Display, and Built-In Scanners.Being securely connected to the fastest wireless network 24/7/365, the EF500 enables real-time communication via PTT and Seamless Conferencing just to name a two. Offering everything within its cutting-edge, stylish, and yet reliable platform, your EF500 is proud to be the first one »View more The EF500 keeps you ready for every calls of duty with large 5” HD Eyelluminate™ Display, and Built-In Scanners.Being securely connected to the fastest wireless network 24/7/365, the EF500 enables real-time communication via PTT and Seamless Conferencing just to name a two. Offering everything within its cutting-edge, stylish, and yet reliable platform, your EF500 is proud to be the first one of a kind. EF500 Mobile Computer (Handheld, Android, Voice/Data) A true masterpiece that captures the essence of the full-touch technology. 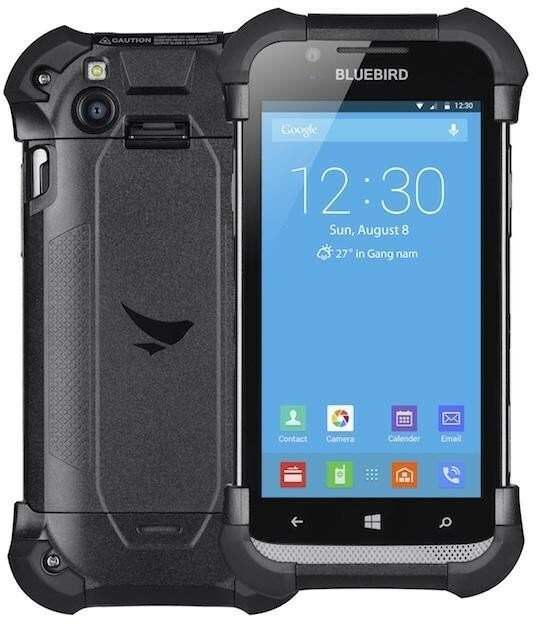 This mission critical, full-touch mobile computer brings mobility and ruggedness necessary for industrial use. Its sleek ergonomic design gives comfort for user even after prolonged handling and delivers secure indoor/outdoor mobile network connectivity. Take advantage of the EF500's power saving processor to provide longer working cycles and maximize your productivity. EF500R Handheld, Win 10, Wifi Only A true masterpiece that captures the essence of the full-touch technology. This mission critical, full-touch mobile computer brings mobility and ruggedness necessary for industrial use. Its sleek ergonomic design gives comfort for user even after prolonged handling and delivers secure indoor/outdoor mobile network connectivity. Take advantage of the EF500's power saving processor to provide longer working cycles and maximize your productivity.